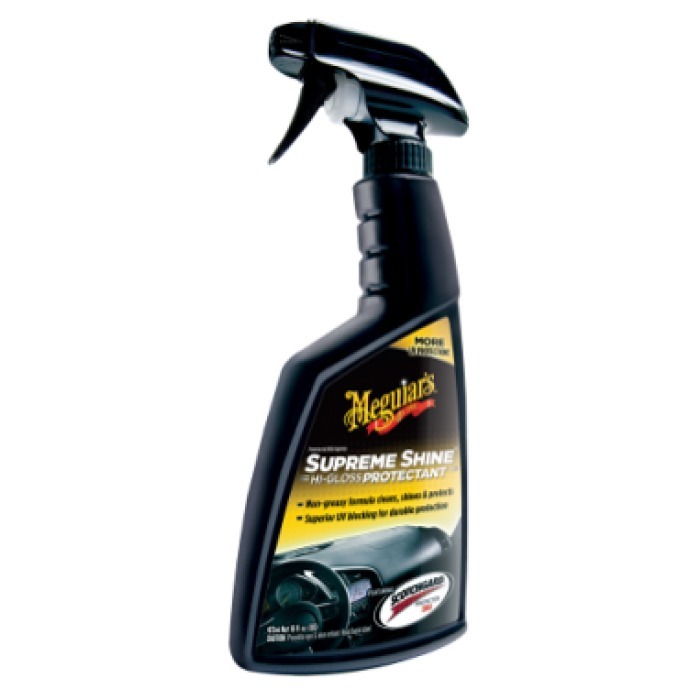 Supreme Gloss Protector quickly changes the look of car rubber, vinyl and plastic surfaces, imparting on them deep color and superior, intense gloss. Cleans and protects surfaces leaving no artificial or greasy look. Its formulation contains UV-ray blockers which help to mitigate sunlight damage such as fading and discoloring. It features Scotchgard protection.